Background/Purpose: Relative change of serum RF titer has been reported to correlate with those of RA disease activity. However, it is debatable whether serum RF decrease was associated with clinical improvements in RA. Therefore, to clarify whether “Continuous Reduction” in serum RF during biologics therapy was associated with better clinical outcomes, we examined serum RF titers and disease activity in RA patients treated with TNF inhibitors (TNFIs) or abatacept (ABT) as 1st-biologics. Methods: Subjects were RA patients who filled RA criteria 2010, were biologics-naive, were treated with TNFIs (adalimumab and golimumab) or ABT, and had active diseases (DAS28-CRP≧2.7) and high titer in serum RF (≧45 IU/ml). Their medical records were reviewed retrospectively. RF titers were measured at 0, 4 and 12 month (mo.) after starting biologics. More than 10% decline in RF titer was considered as significant decrease, and “Continuous Reduction” was defined as significant decreases during both 0-4 and 4-12 months. DAS28-CRP was calculated for each patients, and RA disease activity and therapeutic efficacy was assessed by achievement of clinical remission or low disease activity (CR+LDA, DAS28-CRP<2.7) and “Good Response” of EULAR response criteria. Results: Subjects were 66 RA patients with 25 male and 41 female, 67.9 years (median) of age, 2.1 years (median) of disease duration and 8 mg/week (median) of MTX dosage. TNFIs and ABT were administered in 36 and 30 patients, and improved DAS28-CRP (median) from 4.16 at 0 mo. to 2.00 at 12 mo. and from 3.87 to 2.07, respectively. Serum RF titers (median) were decreased during 0-4 months in TNFI-treated patients (RF titer; 104 at 0 mo., 58 at 4 mo. and 43.5 IU/ml at 12 mo. ), whereas RF among ABT-treated cases was increased during 4-12 months after decline during 0-4 months (RF; 188 at 0 mo., 75 at 4 mo. and 94 IU/ml at 12 mo.). “Continuous RF reduction” was found in 19 (52.8%) of 36 TNFI-treated patients and in 8 (26.7%) of 30 ABT-treated ones, and was significantly fewer in cases receiving ABT. Among TNFI-treated patients, CR+LDA at 12 mo. was found in 17 (89.5%) of 19 “Continuous RF Reduction” and in 9 (52.9%) of 17 patients without “Continuous RF Reduction”, and proportion of CR+LDA was significantly higher in “Continuous RF Reduction” (p=0.0248). Additionally, percentage of “Good Response” at 12 mo. was significantly higher in “Continuous RF reduction” (84.2% (n=16) vs 35.3% (n=6), p=0.0054). Among ABT-treated patients, CR+LDA at 12 mo. was found in 7 (89.5%) of 8 “Continuous RF Reduction” and in 13 (59.1%) of 22 patients without “Continuous RF Reduction”, and proportion of CR+LDA was not different in these patients. Similarly, ratio of “Good Response” at 12 mo. was not higher in “Continuous RF reduction” (75.0% (n=6) vs 50.0% (n=11), p=0.4069). Conclusion: “Continuous RF reduction” was associated with lower disease activity and better therapeutic response only in RA patients treated with TNFIs, not ABT. Therefore, “Continuous reduction” in serum RF titers reflects low RA disease activity and predicts good therapeutic response during TNFI therapy, but does not relate to clinical outcomes during ABT treatment. Disclosure: T. Owada, None; K. Kurasawa, None; Y. Takamura, None; T. Miyao, None; A. Tanaka, None; R. Yamazaki, None; S. Arai, None; R. Maezawa, None; M. Arima, None. Owada T, Kurasawa K, Takamura Y, Miyao T, Tanaka A, Yamazaki R, Arai S, Maezawa R, Arima M. “Continuous Reduction” in Serum RF Titers Predicts Low Disease Activity and Good Therapeutic Response in RA Patients Treated with TNF Inhibitors, but Does Not Relate to Clinical Outcomes during ABT Treatment [abstract]. Arthritis Rheumatol. 2018; 70 (suppl 10). 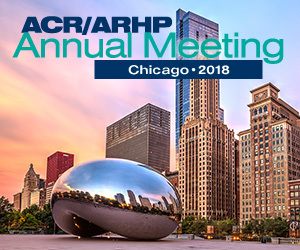 https://acrabstracts.org/abstract/continuous-reduction-in-serum-rf-titers-predicts-low-disease-activity-and-good-therapeutic-response-in-ra-patients-treated-with-tnf-inhibitors-but-does-not-relate-to-clinical-outcomes-during-abt/. Accessed April 19, 2019.